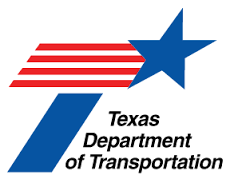 The Texas Transportation Commission recently approved an update of the Texas Department of Transportation’s $70 billion Unified Transportation Program (UTP). The UTP represents a 10-year project funding outlook that includes new plans to add or improve more than 1,200 miles of roadways to improve safety and mobility, and reduce congestion. Seventy billion dollars is an historic amount of funding. It includes over $38 billion in additional funding, which Gov. Greg Abbott and the Texas Legislature presented to the public for approval as Proposition 7 and the ending of diversions of highway funds for other purposes. The 12,000 men and women of TXDOT stand ready to immediately execute these projects that will keep people and freight moving safely and efficiently throughout our state. Texas is a dynamic state with a robust economy. With more than 27 million people living in Texas — a number that is expected to double by the year 2050 — this transportation funding is not only more than welcome, it’s absolutely crucial to our overall quality of life, economic health and global competitiveness. TXDOT is committed to anticipating and addressing the transportation demands of our entire state. The 10-year plan, the largest in TXDOT history, dedicates funding to address safety, maintenance and rural connectivity needs across all 25 TXDOT districts and 25 metropolitan planning areas throughout the state. Gov. Abbott has charged the Texas Transportation Commission with addressing the growing congestion problem facing our largest and most congested metro areas. Ninety-seven of Texas’ Top-100 congested roadways are in the five major metro areas, resulting in the average driver in those areas losing over 52 hours last year while suffering through traffic chokepoints. Over the next four years, $2.5 billion of the influx of new dollars will fund 19 much-needed new projects in Austin, Dallas, Fort Worth, Houston and San Antonio through a program called Texas Clear Lanes. This program is intended to add capacity and improvements to some of our most notorious areas of gridlock in those major cities. In addition, the Commission has targeted funds to improve our major transportation and trade corridors, energy sector roads and hurricane evacuation routes. There is still much to be done. Next August, the Commission will be programming additional projects within the monies available to it. TXDOT is reaching out for public input as it works with transportation professionals and other stakeholder groups throughout the state to ensure a quality planning process. The members of the Texas Transportation Commission — Jeff Austin, of Tyler; Victor Vandergriff, of Arlington; Bruce Bugg, of San Antonio;, Laura Ryan, of Houston, and me, from Odessa — have worked diligently to maximize the resources that Gov. Abbott, the Legislature and taxpayers of this state have provided to us. As the Commission and the department which it oversees, TXDOT, celebrate their 100-year anniversary, we are ever more dedicated to serving the public and continuing the tradition of excellence that has been established by those who served before us.